BULAWAYO, Mar 26 2018 (IPS) - With Zimbabwe’s new President Emmerson Mnangagwa just concluding a 100-day timeline to address what he considered the country’s most pressing issues, which focused on economic revival, human rights activists have their own timeline. Survivors of the 1980s Gukurahundi atrocities, where a campaign by government soldiers claimed thousands of civilian lives, are demanding that the new president address the country’s dark past. Presence Shiri, who was retired as commander of the Air force of Zimbabwe to take up a post in President Mnangagwa’s new cabinet as lands minister was commander of the 5th Brigade, the military unit trained by North Koreans to carry out the Gukurahundi tortures and killings. He too has over the years refused to answer questions about the human rights violations. “This government has no will to solve the Gukurahundi issue,” said Zenzele Ndebele, a Zimbabwean journalist and filmmaker whose 2007 documentary “Gukurahundi: A Moment of Madness” has never been shown in Zimbabwe. The film was launched in neighbouring South Africa after the authorities failed to grant permission for public screenings. “The incompetency of the National Peace and Reconciliation Commission works in government’s favour,” Ndebele told IPS. However, since the NPRC launched countrywide public meetings in February, activists have demanded that government address the Gukurahundi issue, something that the commissioners are accused of not being eager to include in their agenda. As Gukurahundi demonstrations greeted Mnangagwa’s rise to power, special presidential advisor Christopher Mutsvangwa told the nation last December that continued discussion of Gukurahundi was “unhelpful” and “irresponsible,” in comments that were seen as reflecting the president’s views. Velempini Ndlovu, an independent researcher documenting oral testimonies of the Gukurahundi, said victims seek closure and lament that they have been denied the opportunity to formally engage government. “People want to be able to openly express their pain without being policed and told to ‘get over it.’ A gross human rights violation occurred,” Ndlovu told IPS. Gukurahundi continues to polarise Zimbabweans, heating up online bulletin boards with some insisting the new president’s focus should be efforts to resuscitate the economy in a country where labour unions say more than 80 percent of the population are without jobs, while others say for the country to find peace and move on, the Gukurahundi must be discussed openly. 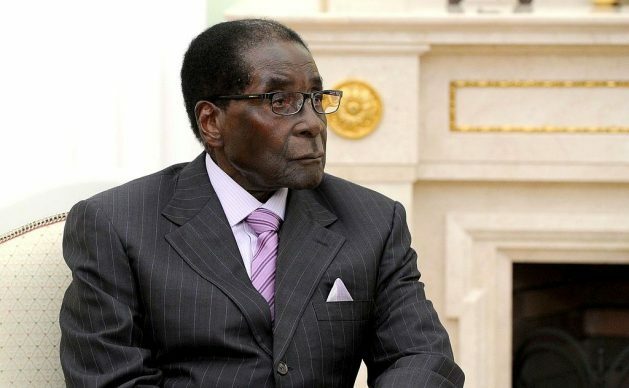 Other activists are demanding reparations with reports that thousands have failed to obtain legal documents such as birth certificates in the absence of their deceased parents killed during Gukurahundi. “Victims want to be allowed to get identification as they are many who because their parents couldn’t get death certificates they also couldn’t get birth certificates and IDs,” Ndlovu said.